What it can do: For any day, for any location on the planet, the Photographer’s Ephemeris will tell you where the sun and moon will rise and set, at what times it’ll happen, and where in the sky they’ll be at any point in time. What it can do: Sadly Mac and Linux only, Darktable is a workflow replacement that some believe rivals Lightroom. 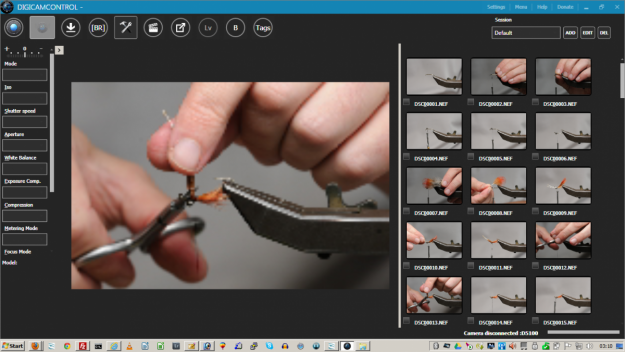 It’s an open source workflow application and RAW developer, as well as virtual lighttable and darkroom. It allows non-destructive editing, can read HDR images, allows for tethered shooting, can export to multiple sites and formats, and has a huge number of tools. digiCamControl is a free piece of software that recently hit a major milestone: it hit version 1.0, signaling a stable release, suitable for widespread use. Originally known as “Nikon Camera Control”, digiCamControl allows you to remotely operate Nikon DSLRs through your PC, including piping live view through your computer, and many other features. Nikon released software development kits (SDKs) for its SLRs some time ago, allowing for developers to create software that play nice with Nikon cameras. Using the company’s DSLR SDKs, savvy programmers can develop software that controls camera functions such as aperture, shutter speed and even shutter release. Unfortunately, Nikon’s SDKs are notoriously difficult to work with. But if you’re just dying to control your SLR from your computer, SourceForge user Thomas Dideriksen has kindly done the heavy lifting for you by putting together an open source C# wrapper library that allows you to do just that.